You might have heard that Salesforce launched Salesforce 1. So what is Salesforce 1? For that lets take a look at 2 terminologies. The Internet of Things (or IoT for short) refers to uniquely identifiable objects and their virtual representations in an internet-like structure. For example, GE (General Electric) added sensor to its engines and wrote an app that tracks those engines. Info about those engines can be included in the Salesforce 1 app used by GE's employees. 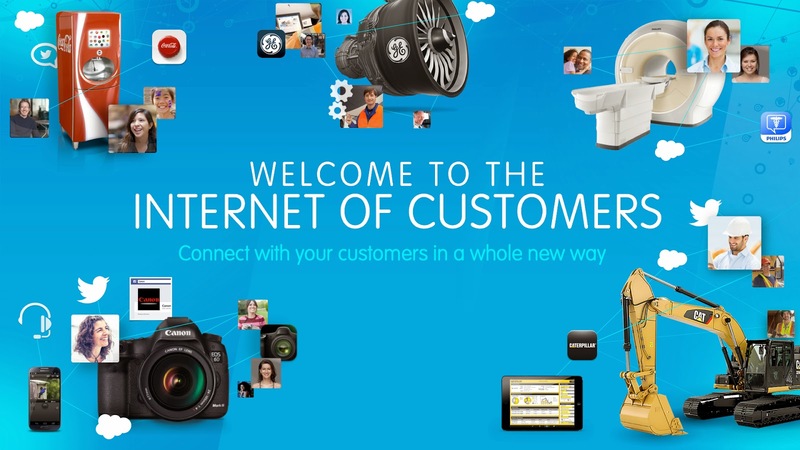 Salesforce.com's Marc Benioff thinks he has a better way to look at IoT. It's not about the things, it's about the people that buy them. 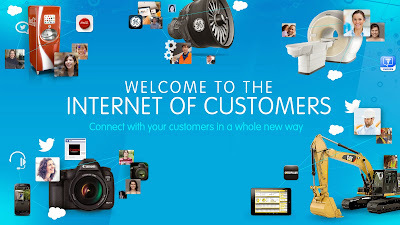 He's introduced a new term, the “Internet of Customer”. So after these two terminologies are understood, it's time to understand what is Salesforce 1. Salesforce1 is a mobile app development platform for everyone. It allows incredible freedom for ISVs (Independent Software Vendors), developers, administrators, and every user to innovate. 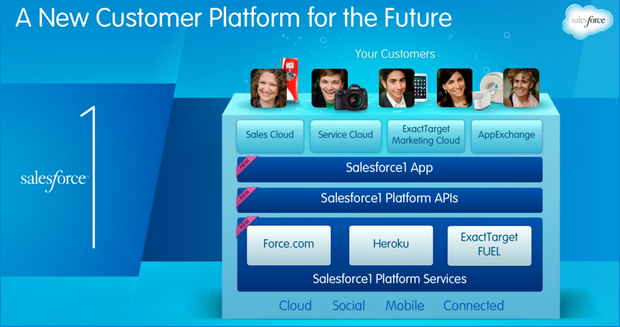 The Salesforce1 Platform brings together Force.com, Heroku, and ExactTarget Fuel into one incredibly powerful family of social, mobile, and cloud services—all built API first. The ability to share, follow, collaborate, and take business actions directly on data within Salesforce1 is at the core of the platform. Intuitive drag-and-drop tools for storing and working with data, defining cloud-based logic with workflows, creating approval processes and formulas, and creating mobile-ready apps. Administrators can define default values for actions to streamline apps down to the click of a mouse or swipe of the finger. 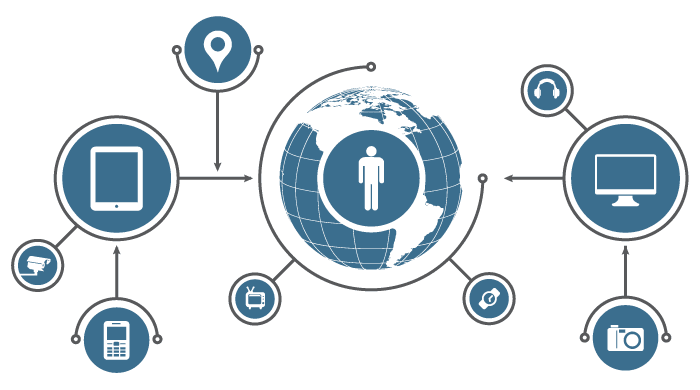 Salesforce provides the connectivity and flexibility to create apps that connect to everything using efficient and scalable APIs that perform over 1.3 billion transactions a day. The ability to have a single, simple identity to span over on-premises systems, internal processes, cloud providers, social networks, and mobile devices. Following picture will describe what is the new platform for customer. Salesforce 1 is also providing one new App for Administrators. Which will allow them to Change following things from their mobile device. Hope you enjoyed this blog about Salesforce 1.